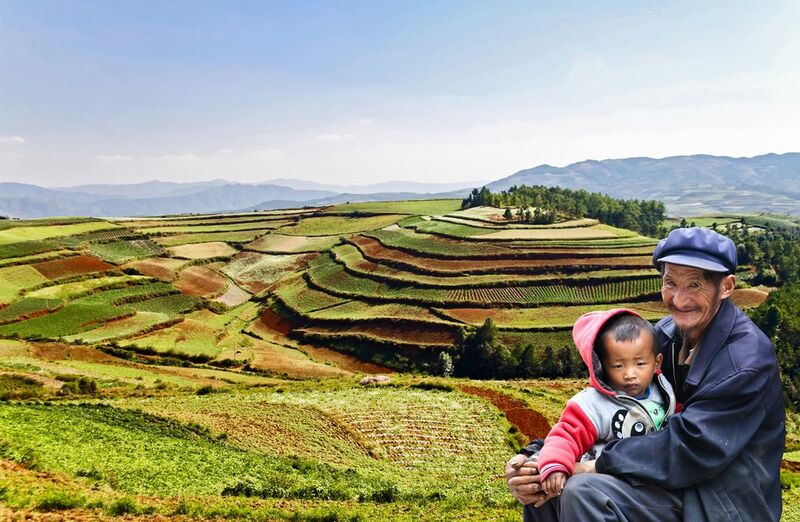 Graandfather and his grandson - Dongchung Red Land, Yunnan province, China. One of the most beautiful areas of China. Date Uploaded: Nov. 28, 2013, 11:26 a.m.